For other uses, see Peerage (disambiguation). A peerage is a legal system historically comprising hereditary titles in various countries, comprising various noble ranks. Hereditary titles, in a general sense, are titles of nobility, positions or styles that are hereditary and thus tend or are bound to remain in particular families. The Peerage of France was a hereditary distinction within the French nobility which appeared in 1180 in the Middle Ages, and only a small number of noble individuals were peers. 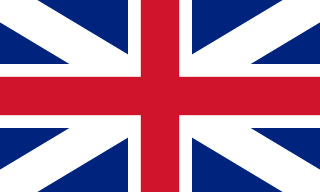 It was abolished in 1789 during the French Revolution, but it reappeared in 1814 at the time of the Bourbon Restoration which followed the fall of the First French Empire, when the Chamber of Peers was given a constitutional function somewhat along British lines, which lasted until the Revolution of 1848. On 10 October 1831, by a vote of 324 against 26 of the Chamber of Deputies, hereditary peerages were abolished, but peerages for the life of the holder continued to exist until the chamber and rank were definitively abolished in 1848. 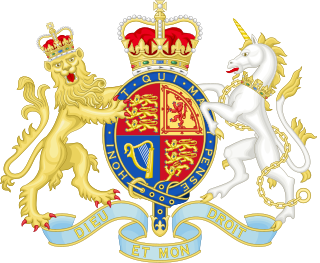 The Peerage of the United Kingdom comprises most peerages created in the United Kingdom of Great Britain and Ireland after the Acts of Union in 1801, when it replaced the Peerage of Great Britain. New peers continued to be created in the Peerage of Ireland until 1898. The Peerage of England comprises all peerages created in the Kingdom of England before the Act of Union in 1707. In that year, the Peerages of England and Scotland were replaced by one Peerage of Great Britain. The Peerage of Great Britain comprises all extant peerages created in the Kingdom of Great Britain after the Acts of Union 1707 but before the Acts of Union 1800. It replaced the Peerage of England and the Peerage of Scotland, until it was itself replaced by the Peerage of the United Kingdom in 1801. 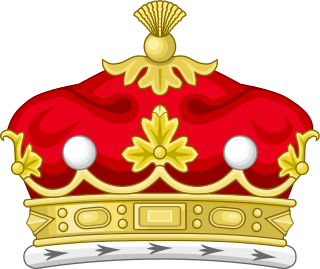 The peerage in the United Kingdom is a legal system comprising both hereditary and lifetime titles, composed of various noble ranks, and forming a constituent part of the British honours system. The term peerage can be used both collectively to refer to the entire body of nobles, and individually to refer to a specific title. British peerage title holders are termed peers of the Realm. The hereditary peers form part of the peerage in the United Kingdom. As of 2019 there are 814 hereditary peers. The numbers of peers – of England, Scotland, Ireland, Great Britain, and the UK – whose titles are the highest they hold are: dukes, 24 ; marquesses, 34; earls, 193; viscounts, 112; barons, 444. Pairie , French equivalent of the English word "peerage"
A marquess is a nobleman of high hereditary rank in various European peerages and in those of some of their former colonies. The term is also used to translate equivalent Asian styles, as in Imperial China and Imperial Japan. The Peerage of Ireland consists of those titles of nobility created by the English monarchs in their capacity as Lord or King of Ireland, or later by monarchs of the United Kingdom of Great Britain and Ireland. The creation of such titles came to an end in the 19th century. The ranks of the Irish peerage are Duke, Marquess, Earl, Viscount and Baron. As of 2016, there were 135 titles in the Peerage of Ireland extant: two dukedoms, ten marquessates, 43 earldoms, 28 viscountcies, and 52 baronies. The Crown of the United Kingdom of Great Britain & Northern Ireland continues to exercise jurisdiction over the Peerage of Ireland, including those peers whose titles derive from places located in what is now the Republic of Ireland. Article 40.2 of the Irish Constitution forbids the state conferring titles of nobility and a citizen may not accept titles of nobility or honour except with the prior approval of the Government. As stated above, this issue does not arise in respect of the Peerage of Ireland, as no creations of titles in it have been made since the Constitution came into force. 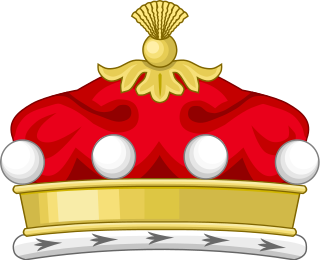 The Peerage of Scotland is the section of the Peerage of the British Isles for those peers created by the King of Scots before 1707. Following that year's Treaty of Union, the Kingdom of Scots and the Kingdom of England were combined under the name of Great Britain, and a new Peerage of Great Britain was introduced in which subsequent titles were created. In the United Kingdom, representative peers were those peers elected by the members of the Peerage of Scotland and the Peerage of Ireland to sit in the British House of Lords. Until 1999, all members of the Peerage of England held the right to sit in the House of Lords; they did not elect a limited group of representatives. All peers who were created after 1707 as Peers of Great Britain and after 1801 as Peers of the United Kingdom held the same right to sit in the House of Lords. Marquess of Cholmondeley is a title in the Peerage of the United Kingdom. 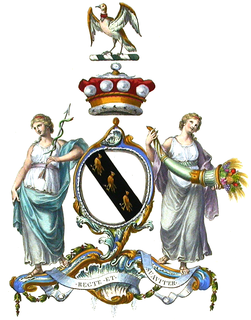 It was created in 1815 for George Cholmondeley, 4th Earl of Cholmondeley. A Lord of Parliament was the holder of the lowest form of peerage entitled as of right to take part in sessions of the pre-Union Parliament of Scotland. Since that Union in 1707, it has been the lowest rank of the Peerage of Scotland, ranking below a viscount. A Lord of Parliament is said to hold a Lordship of Parliament. Viscount Scarsdale, of Scarsdale in the County of Derby, is a title in the Peerage of the United Kingdom. It was created in 1911 for the prominent Conservative politician and former Viceroy of India George Curzon, 1st Baron Curzon of Kedleston, who was created Earl Curzon of Kedleston at the same time and was later made Marquess Curzon of Kedleston. Baron Carrington is a title that has been created three times, once in the Peerage of England, once in the Peerage of Ireland and once in the Peerage of Great Britain. The first creation came in the Peerage of England in 1643 in favour of Sir Charles Smyth. Only a few days later he was created Viscount Carrington in the Peerage of Ireland. For more information, see this title. The history of the British peerage, a system of nobility found in the United Kingdom, stretches over the last thousand years. The origins of the British peerage are obscure but while the ranks of baron and earl perhaps predate the British peerage itself, the ranks of duke and marquess were introduced to England in the 14th century. The rank of viscount came later, in the mid-15th century. Peers were summoned to Parliament, forming the House of Lords. In the Parliament of the United Kingdom, the Lords Temporal are secular members of the House of Lords. The term is used to differentiate these members—who are either life peers or hereditary peers, although the hereditary right to sit in the House of Lords was abolished for all but ninety-two peers in 1999—from the Lords Spiritual, who sit in the House as a consequence of being bishops in the Church of England. A writ in acceleration, commonly called a writ of acceleration, was a type of writ of summons that enabled the eldest son and heir apparent of a peer with multiple peerage titles to attend the British or Irish House of Lords, using one of his father's subsidiary titles. This procedure could be used to lower the average age of the house, and increase the number of capable members in a house that drew on a very small pool of talent, without increasing the effective size of the peerage and thereby diluting the exclusivity of noble titles. This is an index of Welsh peers and baronets whose primary peerage, life peerage, and baronetcy titles include a Welsh place-name origin or its territorial qualification is within the historic counties of Wales. The British nobility is the peerage of the United Kingdom. The nobility of its four constituent home nations has played a major role in shaping the history of the country, although in the present day they retain only the rights to stand for election to the House of Lords, dining rights in the House of Lords, position in the formal order of precedence, the right to certain titles, and the right to an audience with the monarch. Still, more than a third of British land is in the hands of aristocrats and traditional landed gentry. Marquess is a rank of nobility in the peerages of the United Kingdom.